An insurance offer might not seem like enough to cover the full extent of the damage. Insurance is the essential product that provides peace of mind and financial flexibility in a variety of situations. That can be most important in the case of a financial claim. Any time that you deal with an insurance company, whether it follows a car accident, a disaster at your home or a case of medical malpractice, your goal should be to protect your money and your property. How you respond to a settlement offer from an insurance company depends on how reasonable you believe the offer is. Before you hear from the insurance company, check your policy terms. Determine the amount of your deductible, which the insurance company will subtract from the value it assigns to your loss. Make sure that the specific type of incident you're seeking a settlement for is covered in your policy. Look for areas where something the insurance company doesn't know about, such as recent maintenance to a car or improvements to your home, could add value to your claim. Familiarity with your policy will help you understand what is a fair settlement, and what to cite if you ask for more. Calculate your own estimate of a fair settlement. Account for the dollar value of the damage, as well as who was at fault. Add in auxiliary costs, such as emergency response to an accident and rental fees if you need a car while yours is in the shop or a hotel while your home is being repaired. Compare your own figure to the insurance company's settlement offer. If the figures are close and you're anxious to resolve the matter, accept the offer and move on. 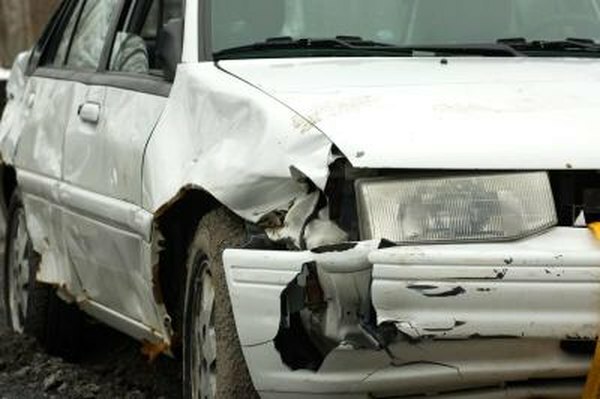 If an insurance company's settlement seems very low, ask why. You'll learn whether the figure is based on facts of the incident and may discover that the insurance company is missing crucial information. Ask how the insurance company arrived at a dollar value of your property. If a good answer isn't forthcoming, any of these questions could force an insurance company to reconsider its settlement offer. Contact a lawyer who specializes in insurance law if you don't make any progress getting an insurance company to raise its settlement offer, or if your case is especially complex. Some insurance cases, such as medical malpractice or wrongful death cases, rely on precedents and insurance laws that you might not be aware of. Consider legal fees in such a situation and make sure they won't outweigh the additional settlement that you stand to gain.